* Express train from Wyee 18 min after the hour - stopping Woy Woy and Hornsby only. 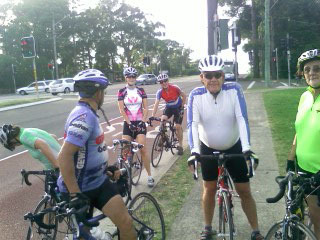 Retrace back from Mt White Road Warriors Cafe to Berowra Waters Rd and turn R and descend to Berowra Waters ferry. 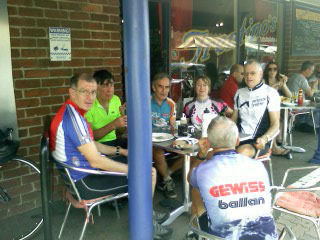 Ascend to Berrilee, Arcadia for 2nd Nosh Stop at Andy's Cafe Nth Galston. 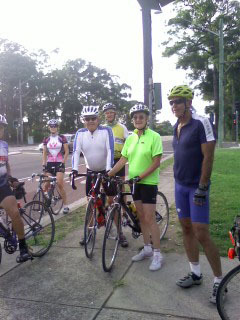 Thence, Sth down Galston Gorge for Sag Stop at Hornsby Heights Bus Shelter. Thence SE to Hornsby. 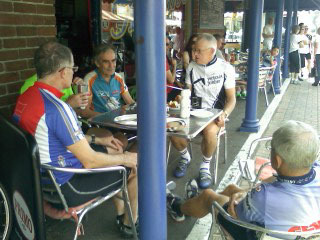 ETR Hornsby 11:50am. Park in Hornsby street side car-park 80m Nth of Railway Hotel in Jersey St - N/W side of Hornsby station. 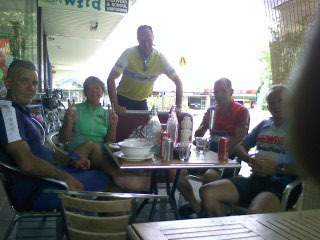 R onto Old Pacific Highway for 35km for 1st Nosh Stop (30 min) at Road Warriors' Cafe, Mt. White to arrive 9:40am. 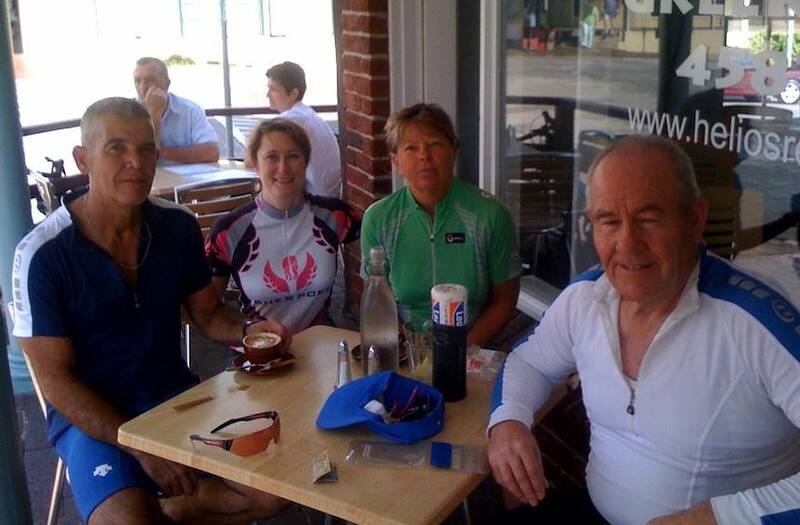 Nth up Old Pacific Highway from 8:20am for 24km for 1st Nosh Stop (30 min) at Mt White Road Warriors' Cafe. Arrive at Mt White from 9:40am. 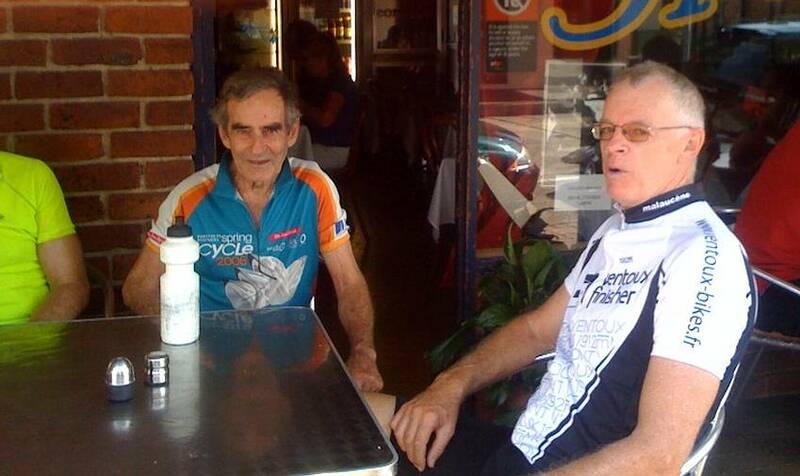 L into Peats Ridge Rd for 15km continuous, gradual climb for 2nd Nosh Stop (20 min) at the Corrugated Cafe, Peats Ridge during hot weather and United Gas Station, Peats Ridge in cool weather from 11:10am. 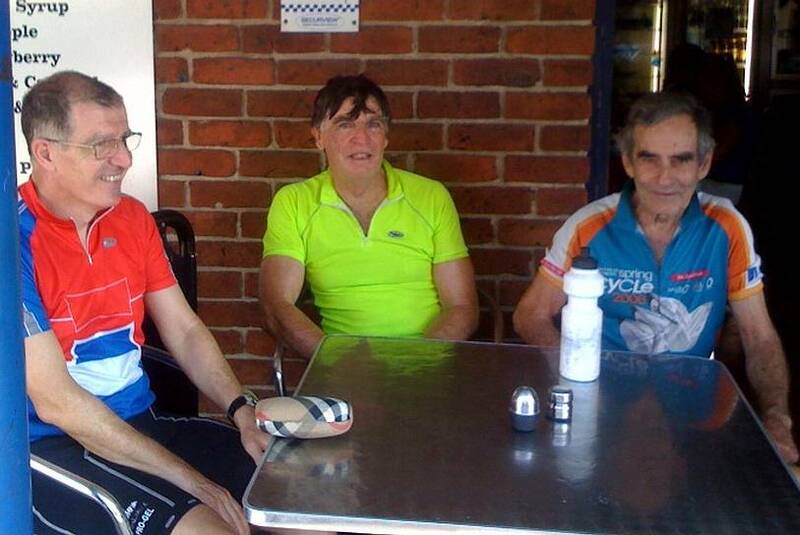 R for 30m to 3rd Nosh Stop (30 min) for brunch at Yarramalong General Store from 12:25pm. right into Bungaree St for 350m to quaint Wyee station where Express trains depart 12:20pm, 1:22pm, 2:20pm, 3:24pm - stopping Woy Woy and arriving at Hornsby station 74 min later. Sorry for the small pics below. Scribe recently had his phone repaired and it came back with real small pic size settings, which he has now finally rectified. 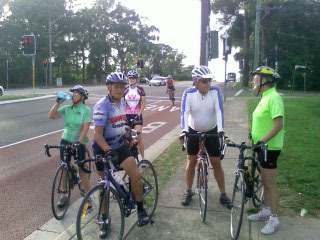 Above three pics snapped at Cnr Vimiera Rd and Epping Rd, where Jean aka ChiliDog and Ann aka ToothFairy joined the throng. 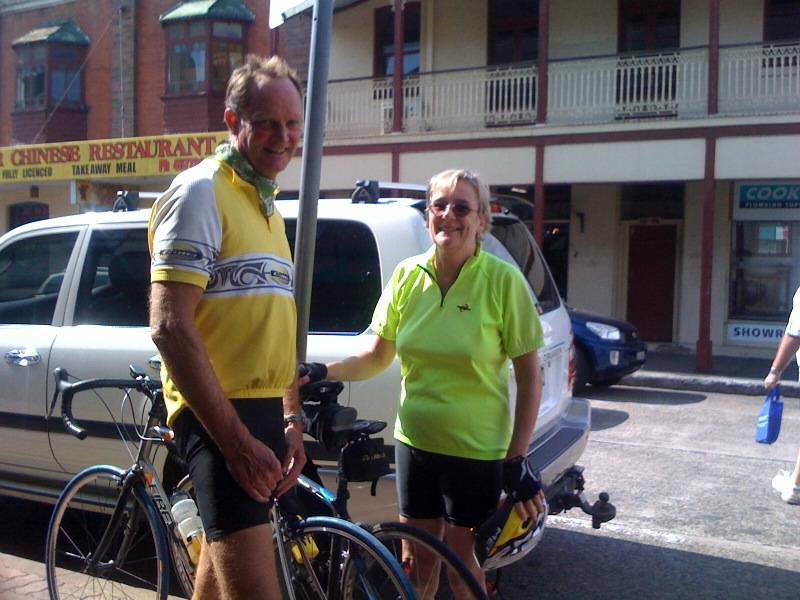 Ann cycled to Windsor but didn't know about a shortened streamline route by continuing along the M7 for 11km and exiting at Quakers hill parkway, so Ann took the laborious route along Abbotts Rd, Johnson Ave, Vardys Rd which added another 9k to her route. Well done ToothFairy.